Our Distinction Hamilton Hotel is the ideal venue for your wedding day in the Waikato region, the perfect place to celebrate love and romance with family and friends in Hamilton. Our four large conference rooms can be opened up to accommodate your number of guests from 50 to 400. 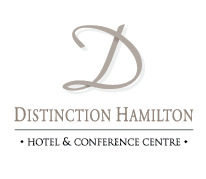 Distinction Hamilton offers your guests great value for money wedding accommodation with quality, convenient service. With 147 accommodation rooms arranged in a number of configurations, our team will be happy to help you best suit your requirements. Scroll down to discover more about our Hamilton wedding packages, honeymoon accommodation and memorable wedding ceremonies and receptions or contact our Distinction Hamilton wedding coordinator - conference@distinctionhamilton.co.nz or phone +64 7 849 0860. Distinction Hamilton's 4 large adjoining conference rooms can be opened up to accommodate between 50 - 400 wedding guests. An ideal Waikato wedding venue.